The Long Beach Museum of Art is hosting the 2017 middle school exhibition “My City, My River” through March 12. 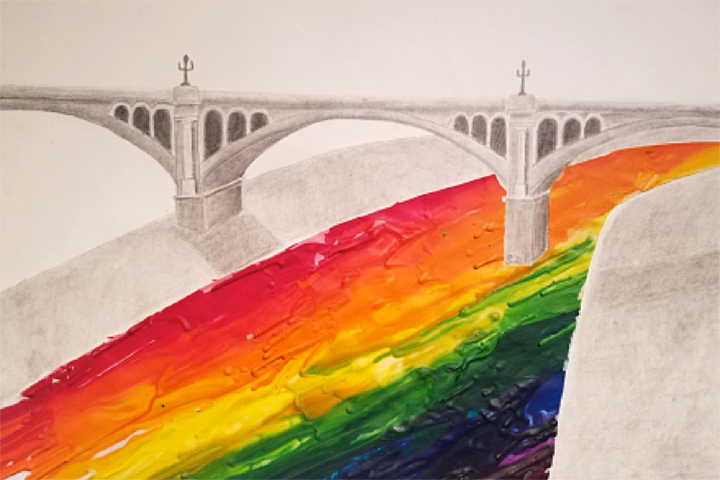 Long Beach Unified School District middle school art and science students were invited to submit works of art focusing on the renovation of the Los Angeles River, led by world-renowned architect Frank Gehry. Students were asked to connect the revitalization of the L.A. River to the broader theme of community green space. The museum juried the works of art and selected 55 pieces. The exhibition includes artwork from students at Franklin, Hoover, Powell, Rogers and Tincher schools.